Infrastructure Planning and Design guide for System Center 2012 – Operations Manager available! Last week the Infrastructure Planning and Design team has announced the IPD guide for System Center 2012 – Operations Manager is available for download! 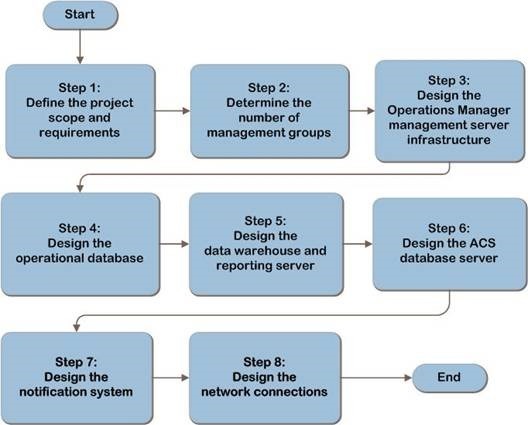 The Infrastructure Planning and Design (IPD) Guide for System Center 2012 – Operations Manager outlines the infrastructure design elements that are crucial to a successful implementation of Operations Manager. It guides you through the process of designing components, layout, and connectivity in a logical, sequential order. You’ll find easy-to-follow steps on identification and design of the required management groups, helping you to optimize the management infrastructure. Launch the download of the IPD guide for System Center 2012 – Operations Manager. Launch the download of the entire released Infrastructure Planning and Design Guide series. Visit the Download Center to select other released guides in the Infrastructure Planning and Design Guide series. Infrastructure planners and architects who have a firm operational grasp of the technology. Partners and consultants who design infrastructure solutions. Business managers who want to understand how the technology decisions being made both support and affect the business.